Chandana Mitra’s teaching responsibilities largely reflect her interests in urban growth, GIS and climate science. The courses she offers include GIS, climatology, physical geography, urban geography and Asia. Dr. Mitra’s primary research interests are in the field of urban climate, urban land cover, urban land use change, growth dynamics in developing countries, urban growth models, mesoscale weather processes and modeling, climate change, satellite remote sensing and GIS. She has extensively used GIS/remote sensing techniques and urban growth models to better understand the dynamics of human - environmental interactions. She and her students are using the WRF mesoscale climate model to discern land-atmosphere interactions and impacts. 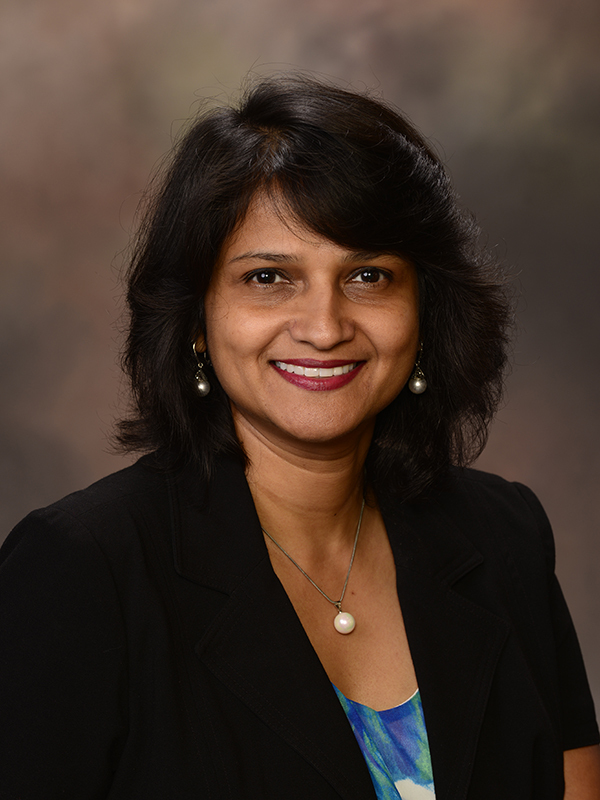 Dr. Mitra's present research projects are related to quantifying land use, land cover change, converting digital numbers to degree temperatures to delineate urban heat island magnitude and estimating evapotranspiration for agricultural and urban areas. Her current research projects focus on South Asian countries and the US [Please click on the ‘Research’ link on the left side of the page]. Another of her present research initiatives is to create 'urban sustainability maps'. These maps will potentially help global cities make decisions and policies towards a more sustainable future based on their individual topography, structure, climate and several other inputs. In future she wants to expand her research to other parts of the world, along with environmental planning, plan for greener cities, and examine different ways of mitigating urban heat islands. Mitra is passionate about Climate change communication to the masses. She believes the first step to climate change mitigation is educating the general population and them taking ownership and responsibilities to mitigate the risks. She is a member of 'Climate Voices - Science Speakers Network', a new climate communications initiative of the University Corporation for Atmospheric Research and the United Nations Foundation. Her academic research always ties in with dissemination of knowledge whether it is through K 12 education or using mass media to communicate or simply through her class lectures. Dong, L., Mitra, C., Greer, S., & Burt, E. 2018. The Dynamical Linkage of Atmospheric Blocking to Drought, Heatwave and Urban Heat Island in Southeastern US: A Multi-Scale Case Study. Atmosphere, 9(1), 33. Khan, A., Chatterjee, S., Akbari, H., Bhatti, S. S., Dinda, A., Mitra, C., Hong, H. & Doan, Q. V. 2017. Step-wise Land-class Elimination Approach for extracting mixed-type built-up areas of Kolkata megacity. Geocarto International, 1-24.